Do you hold your breath when checking e-mail on your computer, clicking to see a notification on Facebook, texting on your iPhone, or watching a YouTube video? Have you ever tested it out? Stop right now, and notice your breathing, your posture, and your heart rate. If you hold your breath or have shallow breathing you are one of the 80% of people who have E-mail Apnea (alternatively called Screen Apnea). Linda Stone, one of the technology industry’s great visionaries, coined the phrase in her 2008 article when she began to notice her own breath holding. She went on to see if others did the same thing through extensive research, with some fascinating results. When one holds their breath, several things happen. It increases stress levels because there is no exhale, and the exhale is what lessens the stress response and generates the relaxation response. This also impacts our view of the world, sense of well-being and effectiveness. Why do we hold our breath or breathe shallowly when we are in front of a screen? One reason is that when sitting at a computer or using a digital device we are usually in a position with our arms extended and shoulders forward compressing the diaphragm so that it is difficult to get a full inhale and exhale, thus shallow breathing. The other reason is that there is often anticipation involved, which begins with an inhale but the exhale rarely follows which alerts the Sympathetic Nervous System, or the Fight, Flight or Freeze Response. The nervous system goes on high alert, ready for danger, thus creating stress in the body, among other things. A recent study at Baylor University found that female college students spend 10 hours a day on the cell phone, boys slightly less at 8 hours a day. If students are holding their breath or experiencing shallow breathing for much of this time, it means that they are in high alert stress response much of the day. In another post I will share the research on teens, technology and anxiety, but the simple act of breathing could be one of the remedies for the effect technology is having not only on teens, but the entire population, including you. The essential remedy is to teach college students to become more mindful of their computing behaviors and remember to breathe. When one takes deep breaths through the nose they fill the lungs and make more space in the body, and the longer they take to exhale through the nose, the more time the body has to go into relaxation response. Simply becoming aware of one’s posture and breath, while sitting at a computer or on an iPhone can cause one to sit up straight and start breathing, thus beginning to reverse some of the effects of Email Apnea. There are technologies that help us become aware of our breathing, of our attention, or our stress levels. Huffington Post's GPS for the Soul is an app that measures heart rate and heart rate variability. In combination these inform the user of their stress level. The app includes guides to help one self correct, or move from flight, fright or freeze to well-being, along with a breathing pacer. 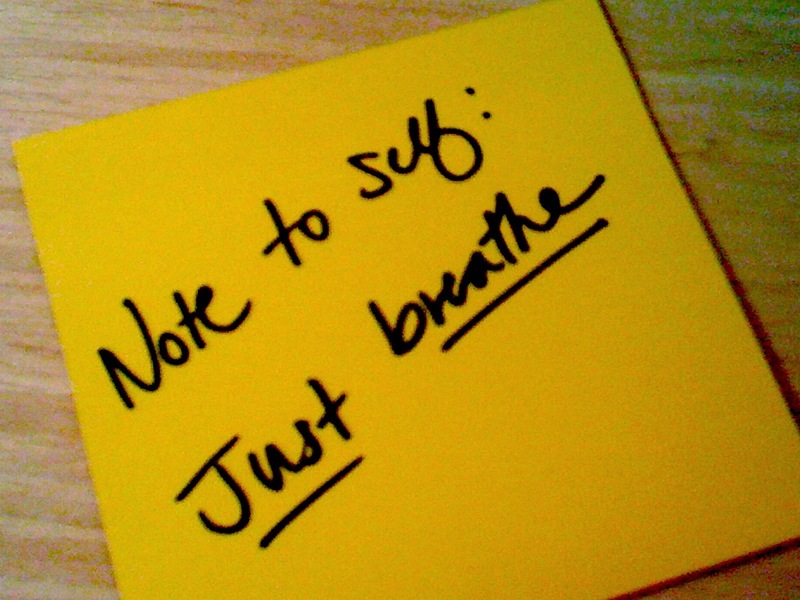 One of the most helpful aspects for me is the intermittent reminders to check in with oneself and breathe. Mindfulness practices like meditation, yoga and walking in nature alone are other ways to allow the parasympathetic nervous system to dominate, allowing for more tranquility and calm. Another benefit of these practices is they are done off the grid which gives the mind, body and soul a break from the digital world. Susan Reynolds is the founder of ABC Legacy's, "The Space" where middle and high school age youth learn the impact of technology overuse and distraction and the ways mindfulness and yoga may counter this. In addition "The Space" offers students a relaxed, social and phone free environment to practice these skills, complete homework and engage Face to Face with their friends without a cell phone or iPad in their hards. She designs programs designs for students who want a place to spend afternoons, practice yoga, learn mindfulness and experience some relief from 24/7 connectivity. Learn about "The Space" at abclegacy.com or visit it on the 3rd floor of 33 Bradford Street. She brings 17 years of teaching, interdisciplinary curriculum design and professional development in academic technology at The Fenn School to her current work with youth. As a researcher, writer and speaker on the current issues with technology, and a certified Vinyasa Flow yoga and meditation teacher, she seeks solutions by bringing mindfulness to the increasingly fast paced and distracted impact of digital devices and social media.